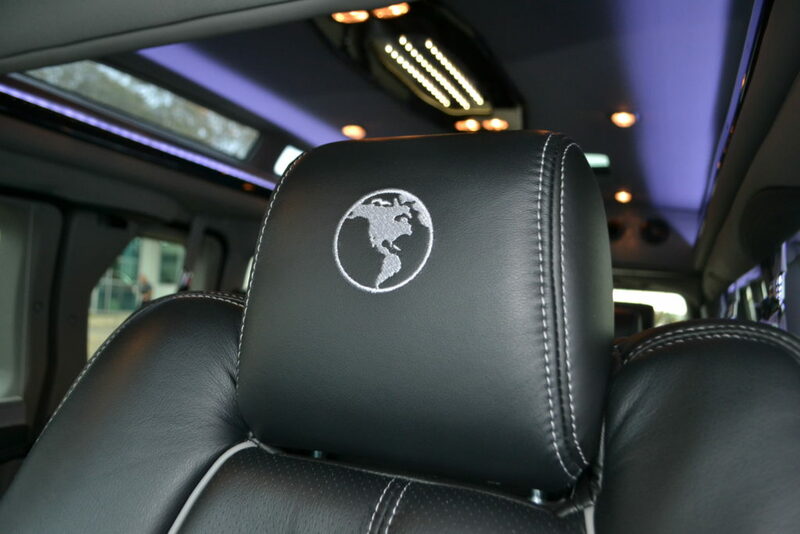 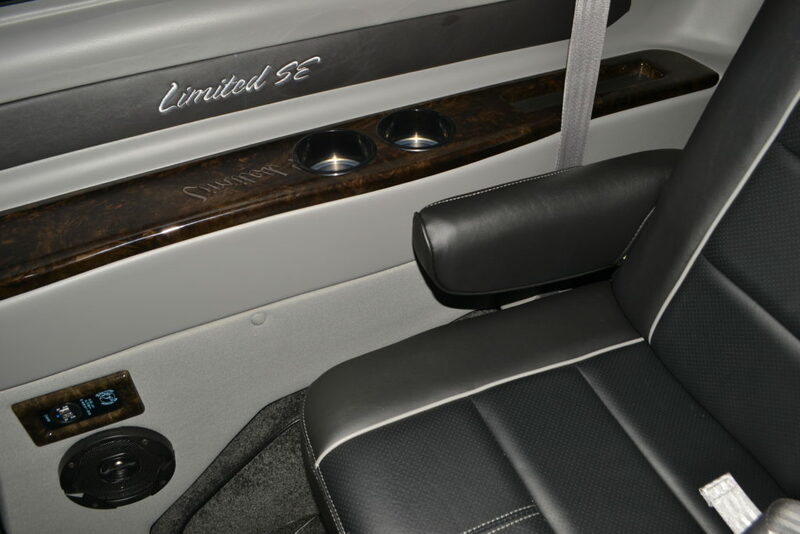 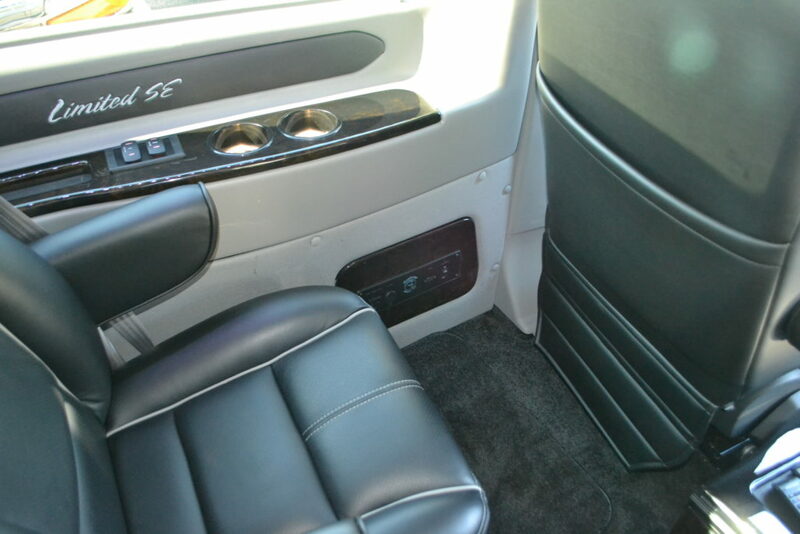 Interior: Black Leather Seating with Silver Stitch, Plush Graphite Carpet, Gray Sidewalls, “Black Burl” Hi gloss wood accents & trim. 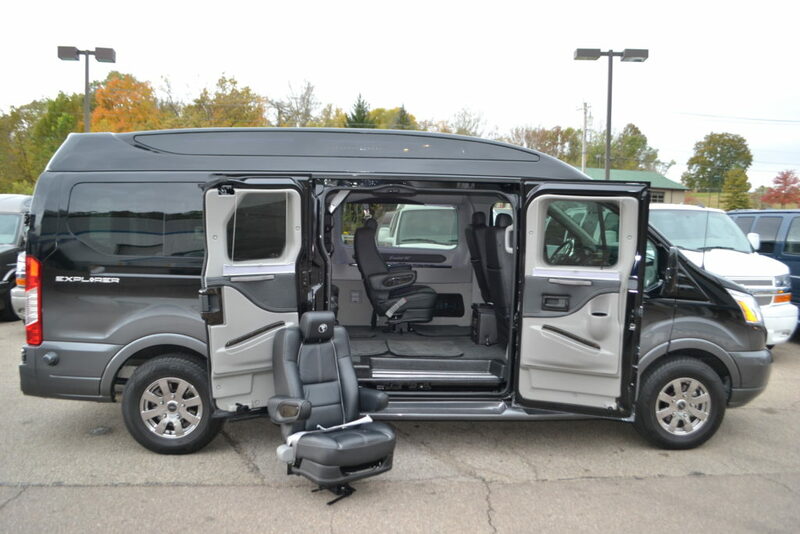 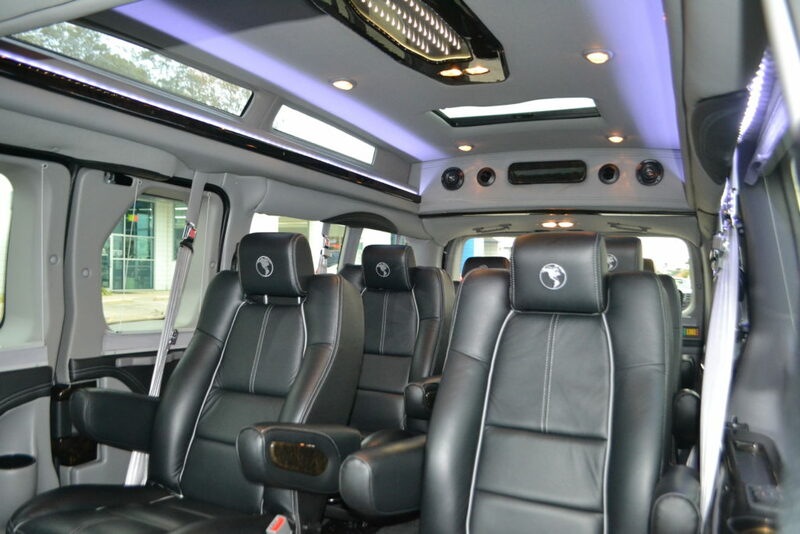 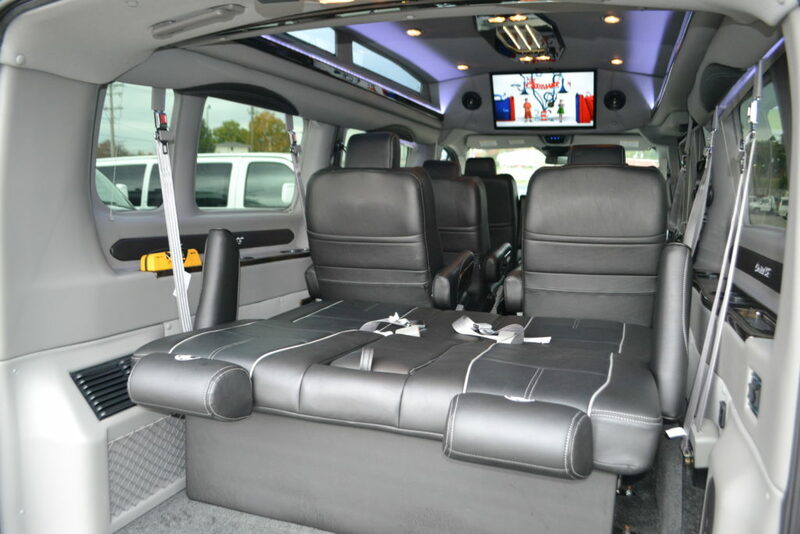 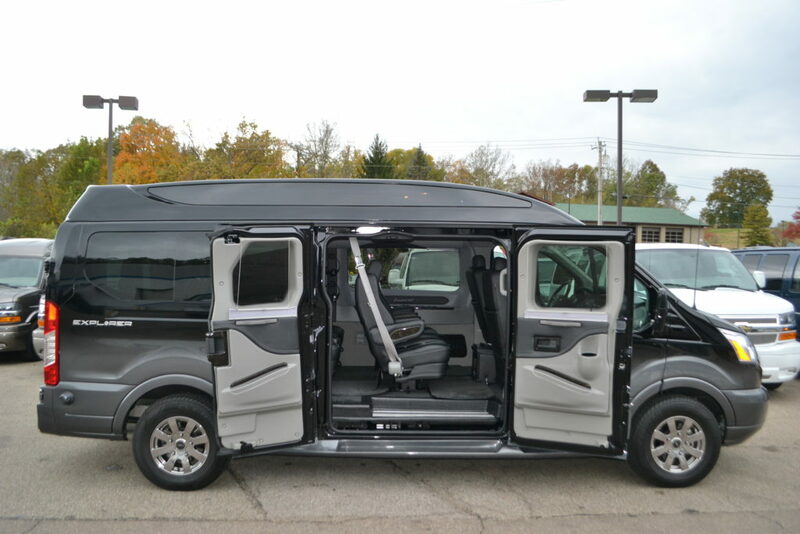 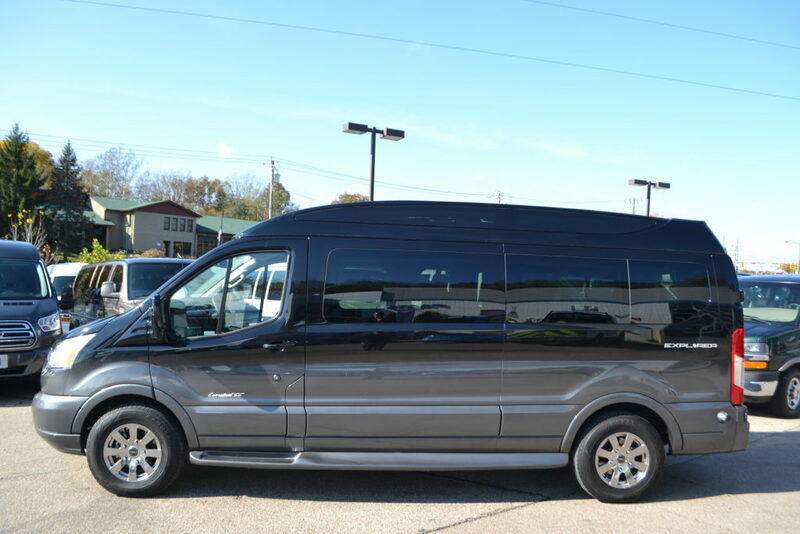 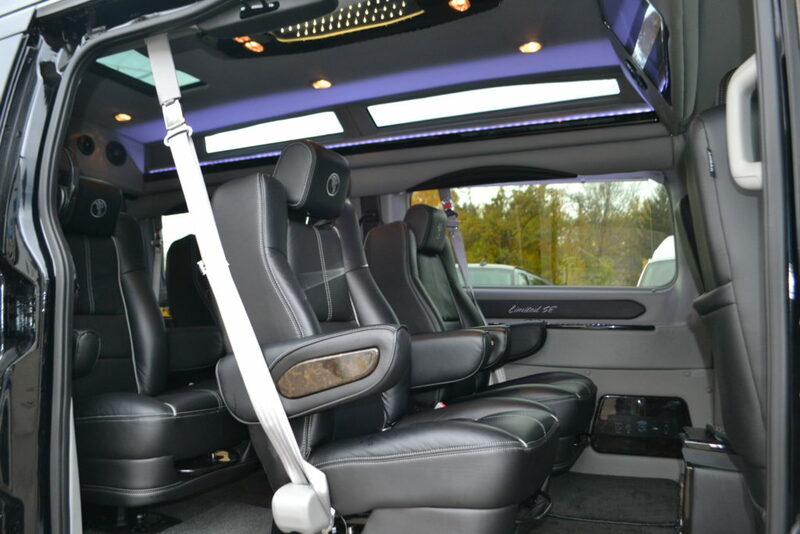 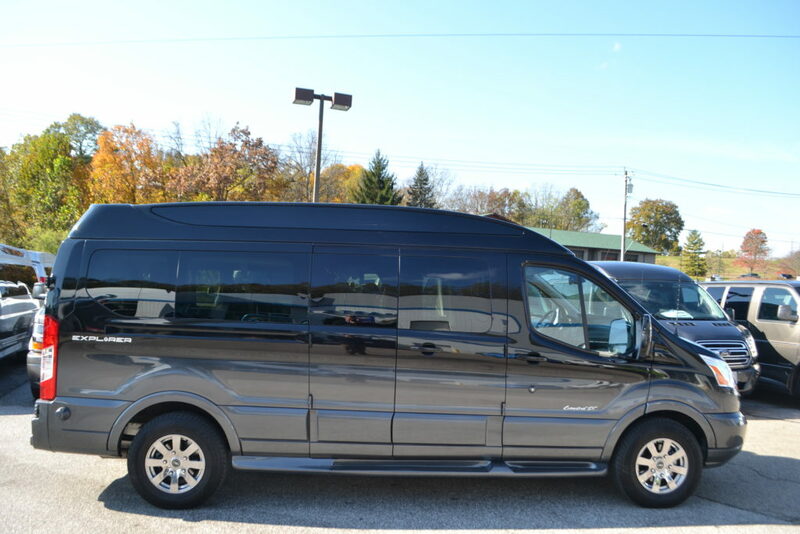 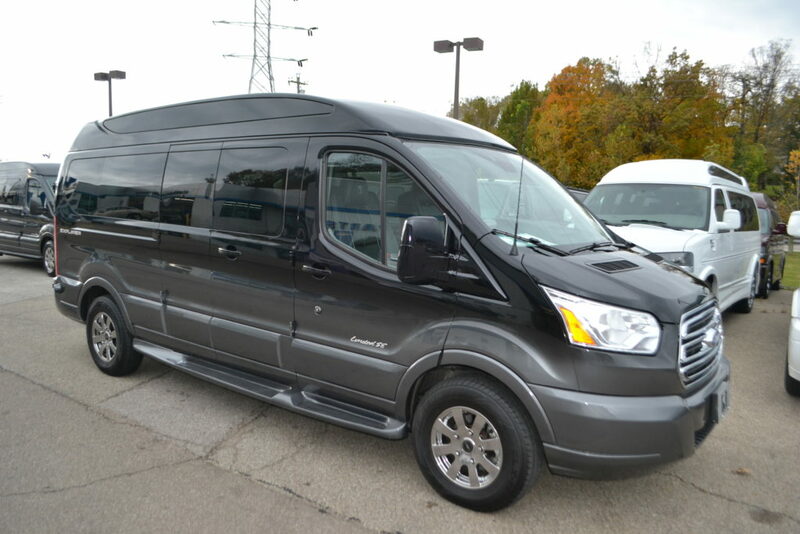 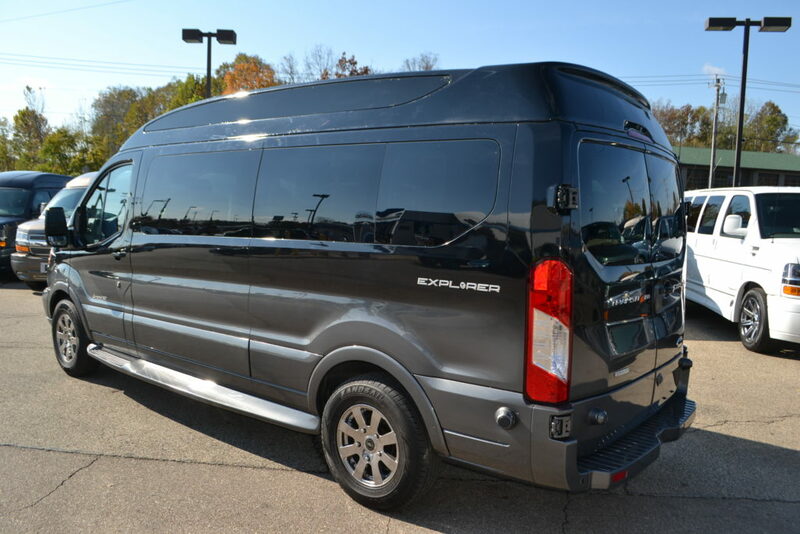 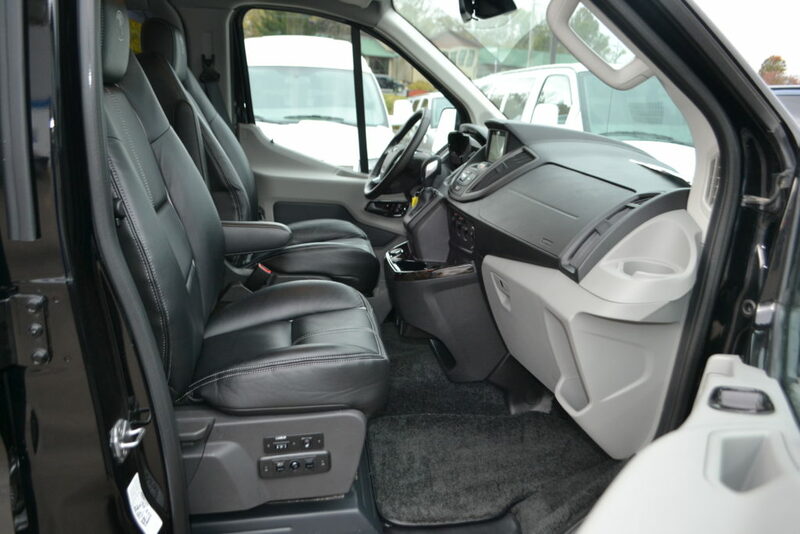 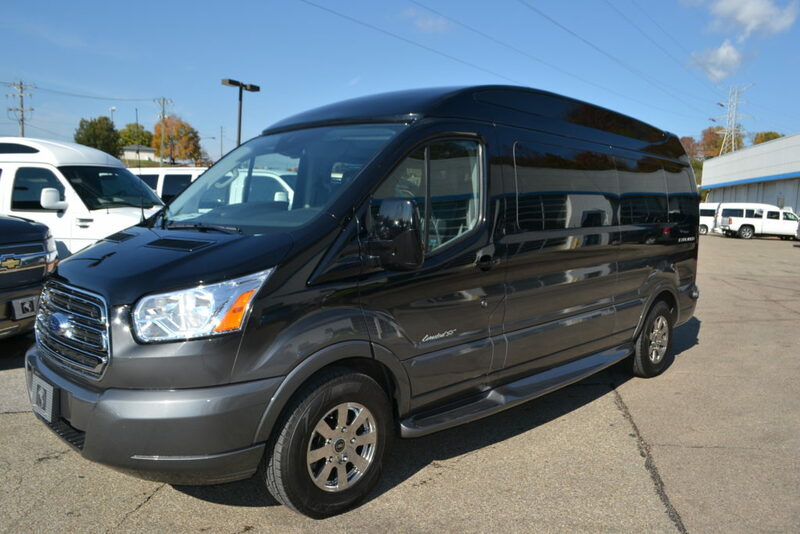 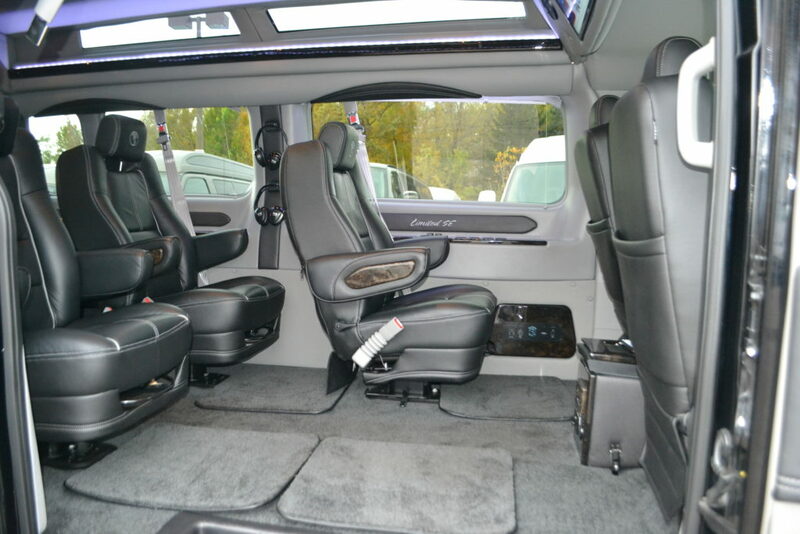 Body: Transit-150 Comfortable Seating for 9 Passengers. 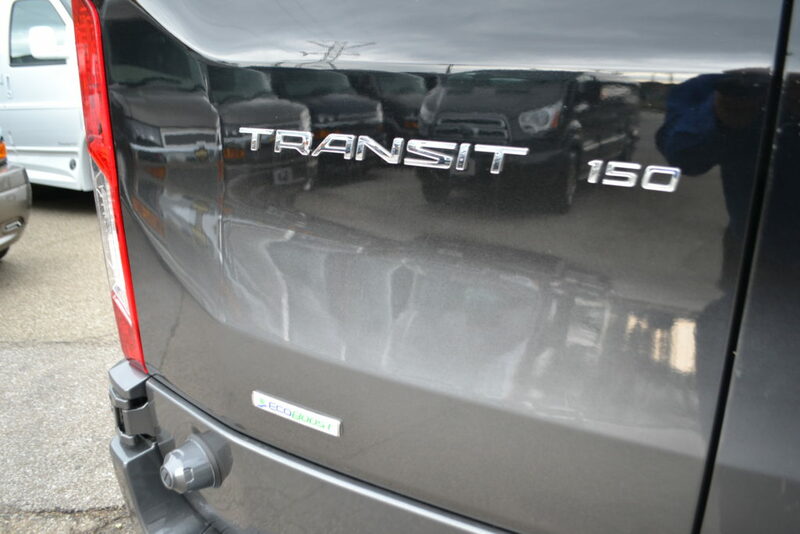 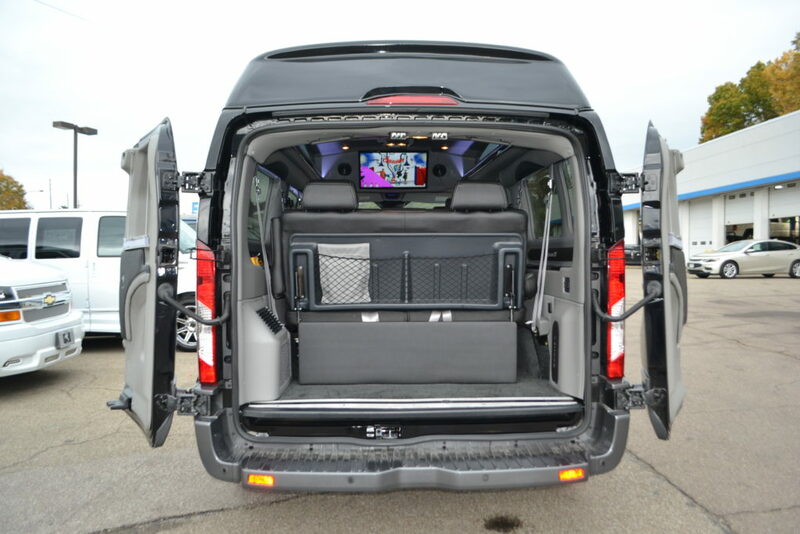 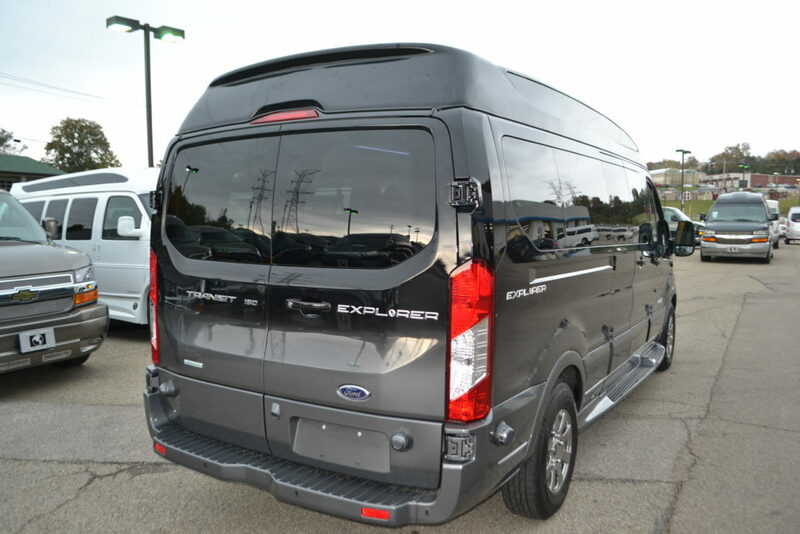 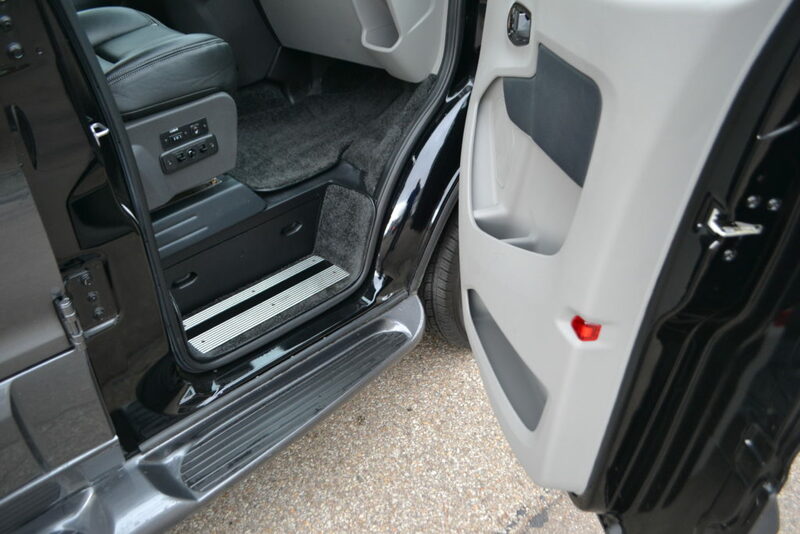 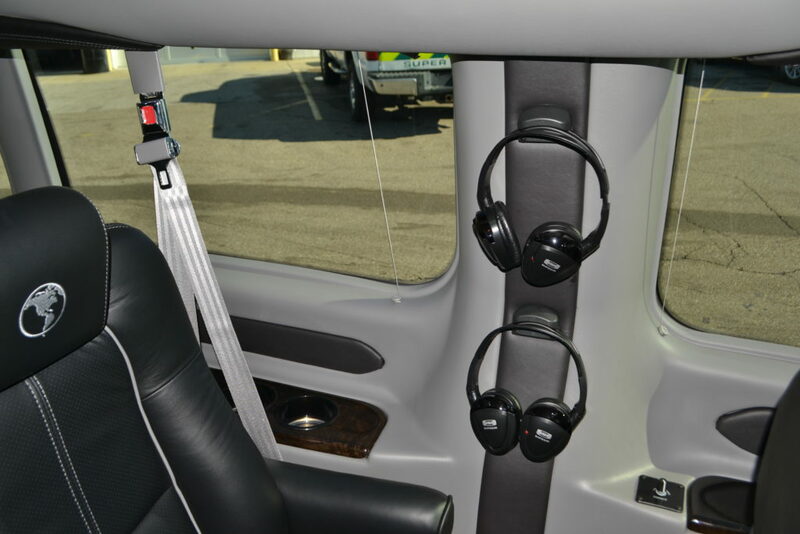 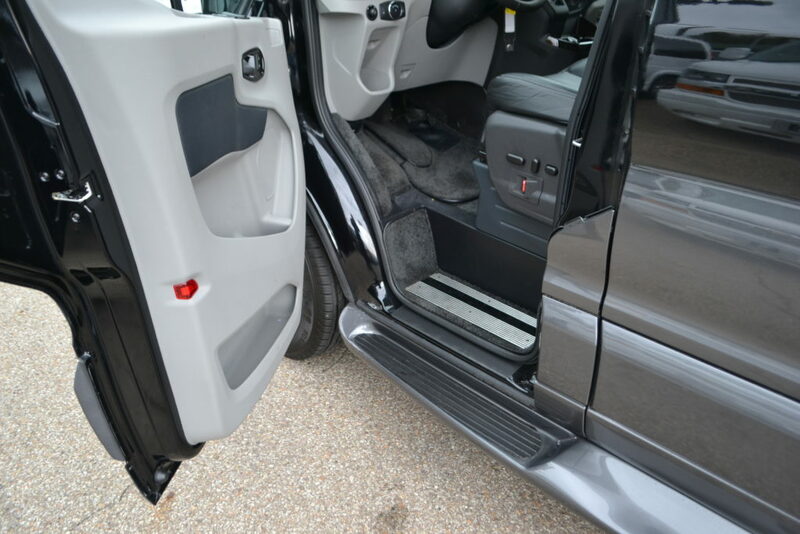 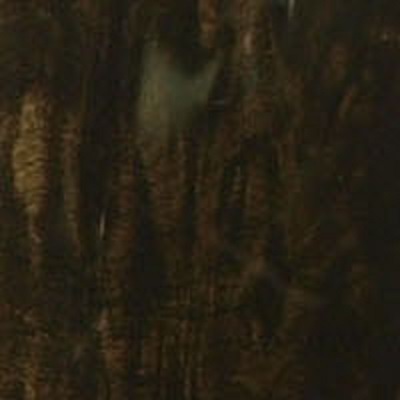 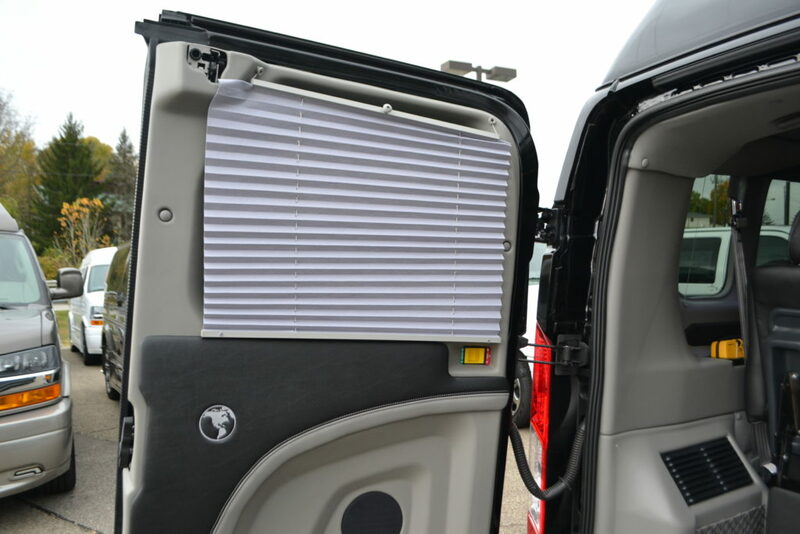 Doors: 6, Including rear cargo doors, Rear Cargo Doors swing 180. 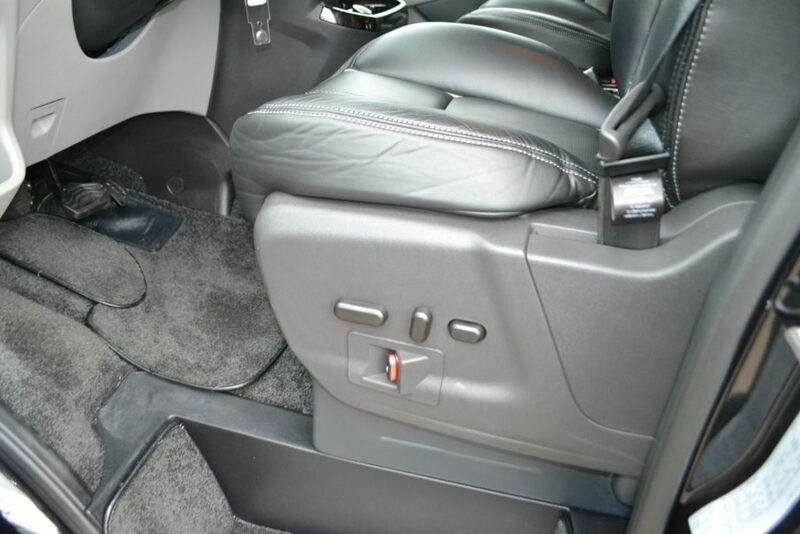 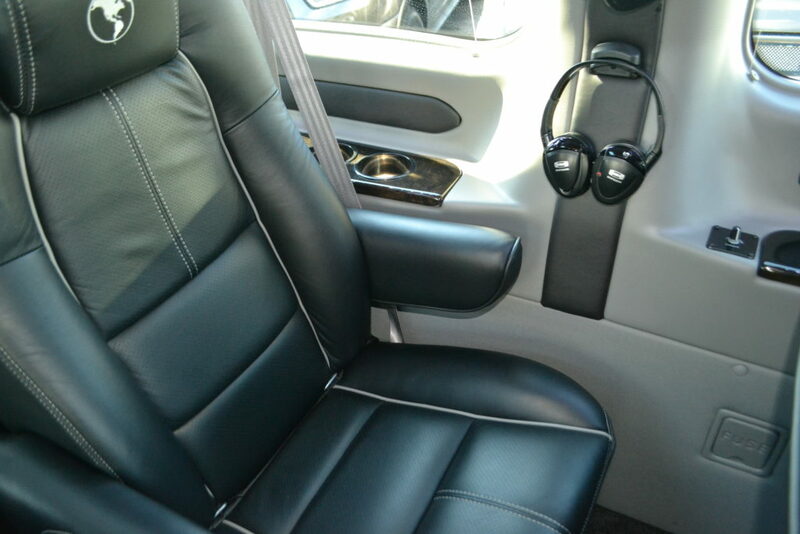 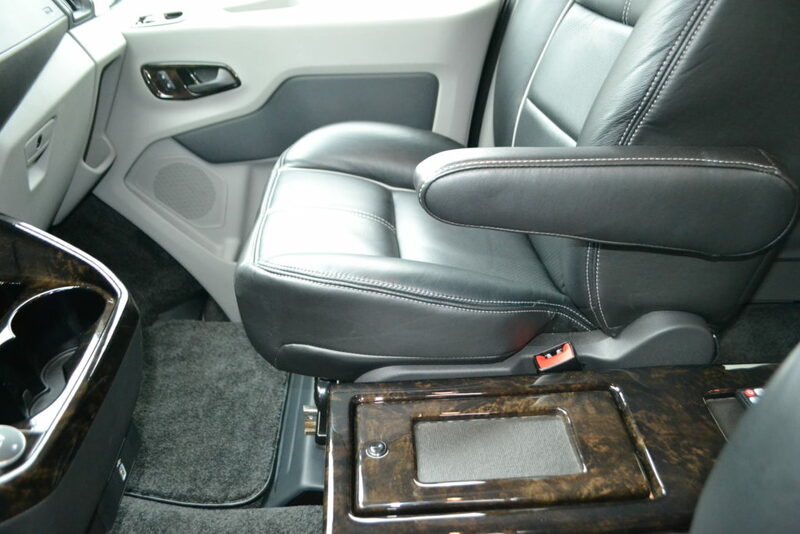 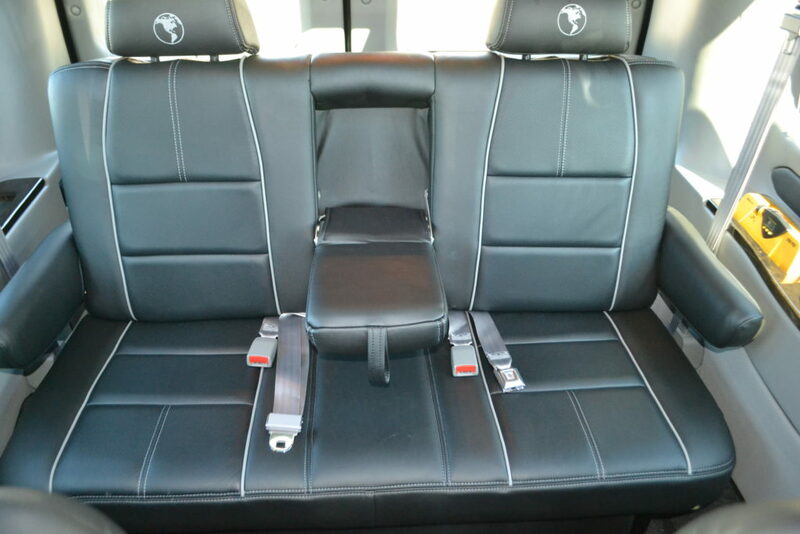 Front Seating: Leather, Heated, 10-way Power, Power Lumbar, Power Recline with SD Airbag. 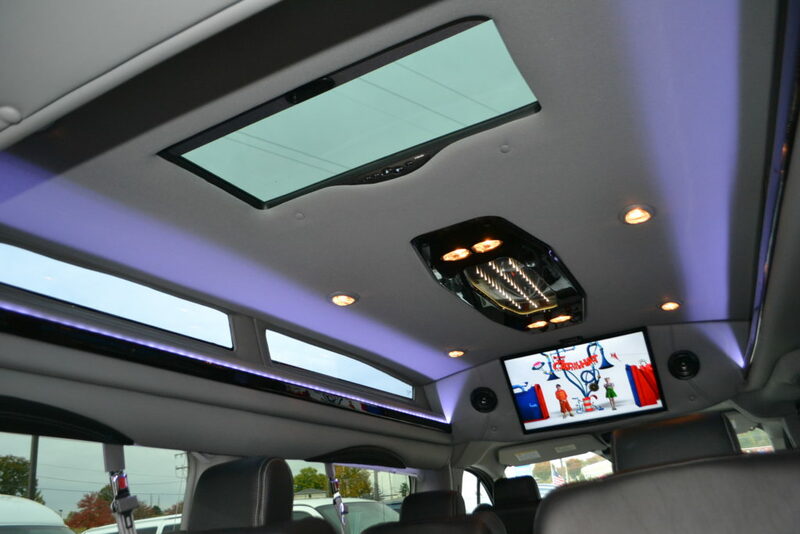 Sport Roof: Vista Cruiser Sport Roof (Hi-Top) With Deep Tinted, Full Length Automotive Side Glass, Interior LED Accent Lighting. 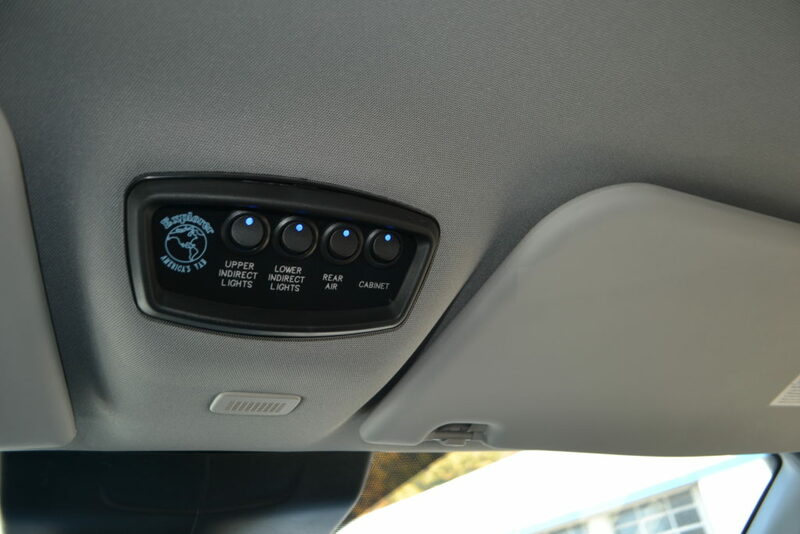 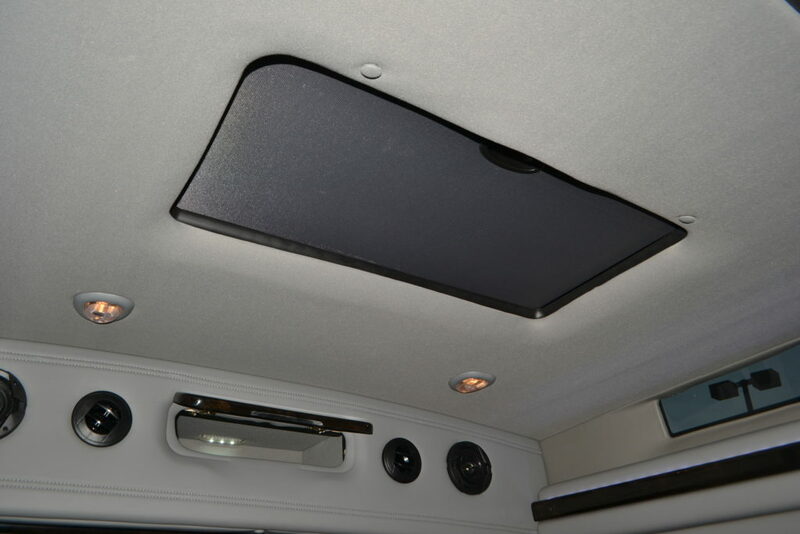 Sunroof: Yes, Power with Auto close and Sun shade. 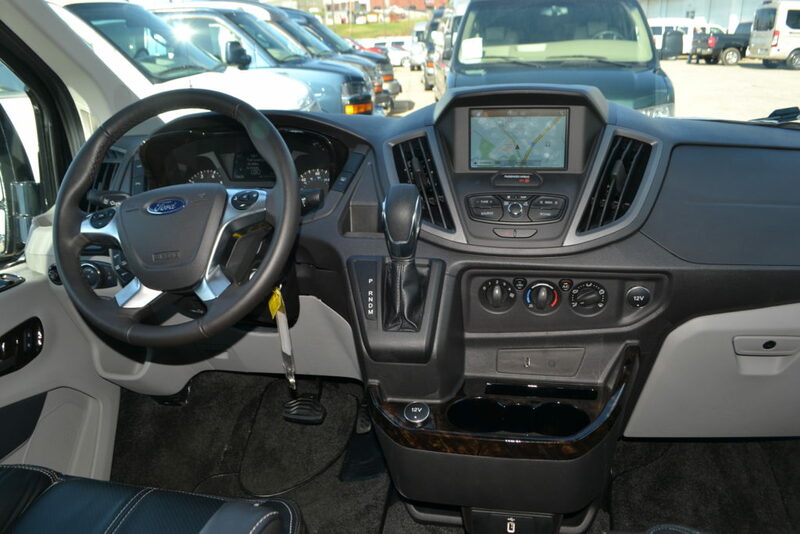 Front Entertainment System: MYFORD TOUCH HD/Sirius/Navigation, 6.5″ color LCD screen control the System with Voice or Touch, AM/FM stereo, HD Radio, Sirius XM with 6 Month Trial, Leather Wrapped Steering Wheel with Controls for Multifunction Display, Message Center, SYNC, Reverse Park Aid, Rear View Camera, Audio Input 1/8 Jack & USB, Lane Keeping Alert, The voice-activated Navigation system also includes 5-year subscription to SiriusXM Traffic & Travel Link. 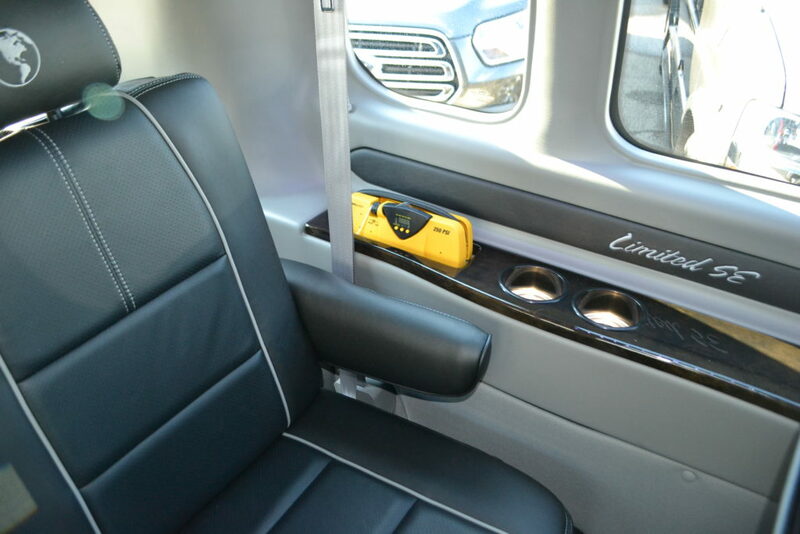 (2) two 12V Power Points, Power Inverter 120V Outlet, Multiple Drink Holders, Change Holder, Passenger Glove Box, Center Console with Storage. 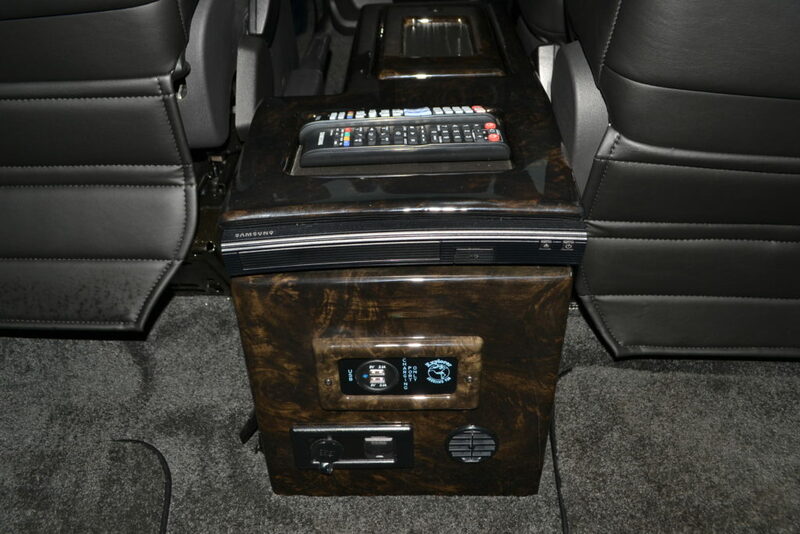 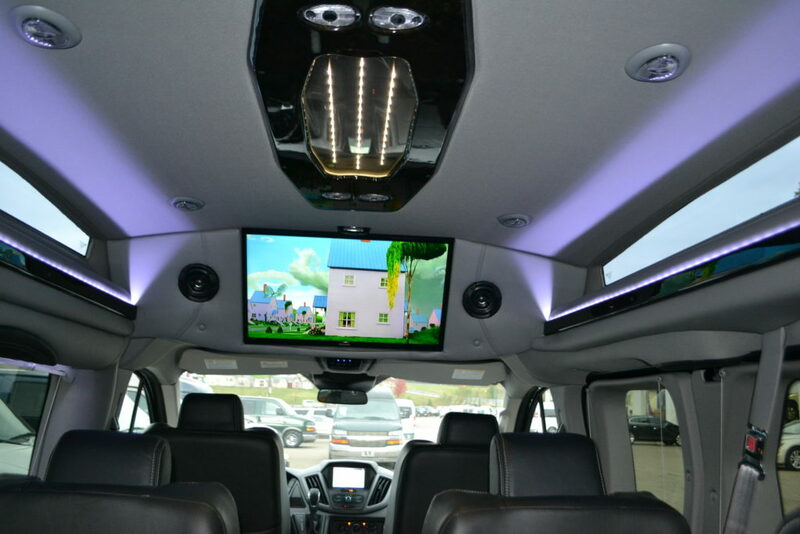 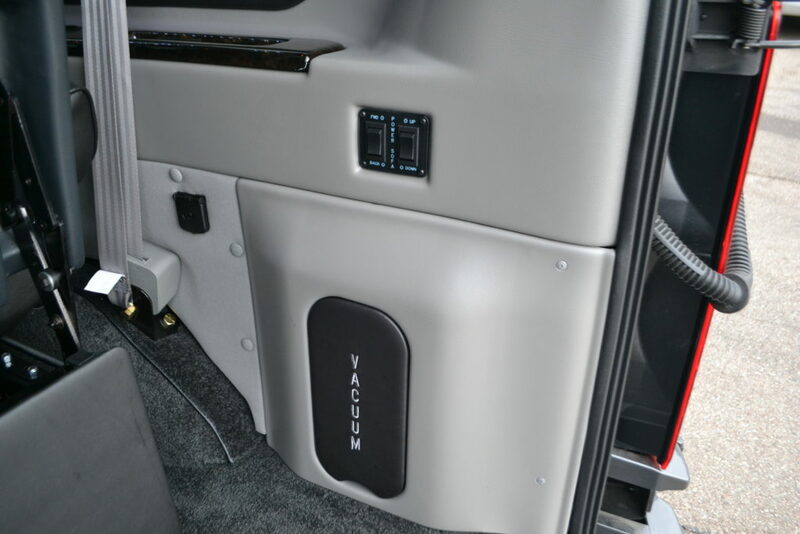 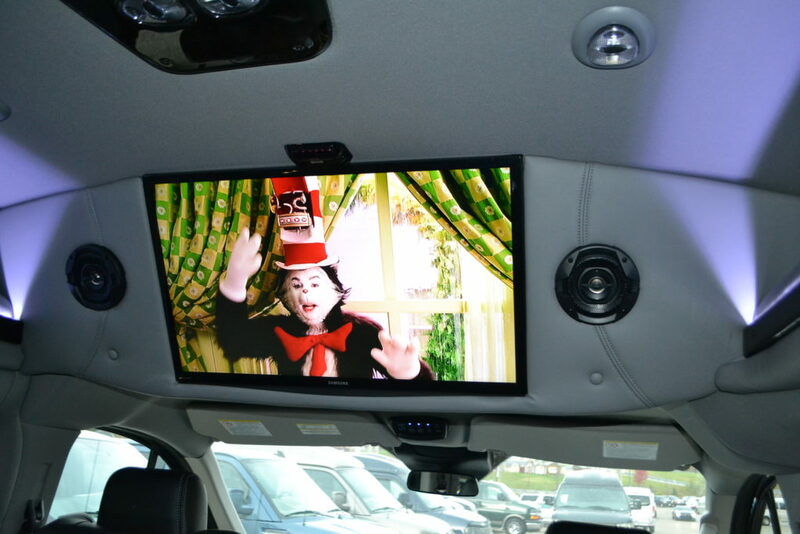 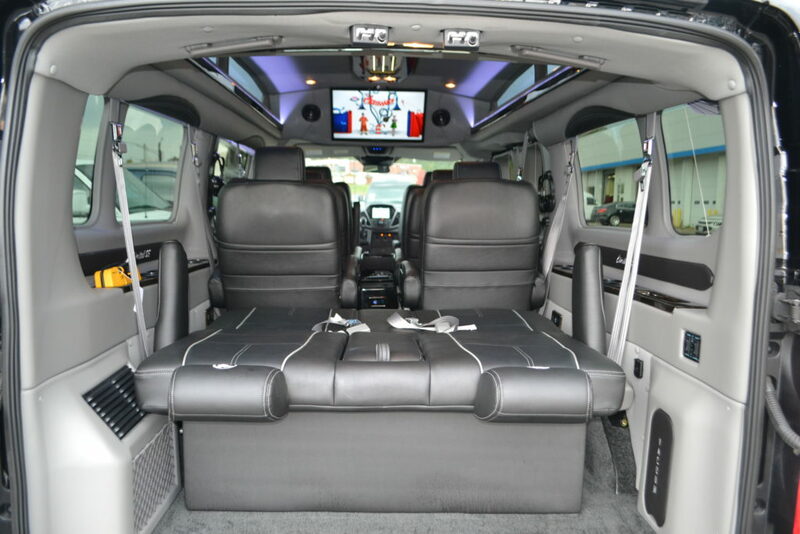 Rear Entertainment System: 29″ Samsung HD TV with Digital Tuner, Blu-ray DVD Player, External Speakers, JBL Powered Subwoofer enclosure, Speaker On/Off Switch, Wireless Headphones, 120V Game Power Supply, HDMI Input, Rear USB Charging Ports, Remote Storage and USB Charging Ports in Center console, LED “Lighted” Rear Drink Holders. 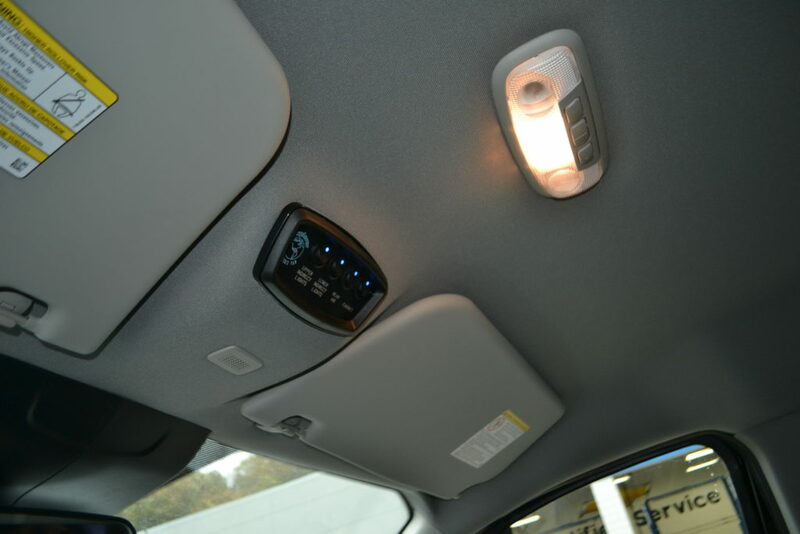 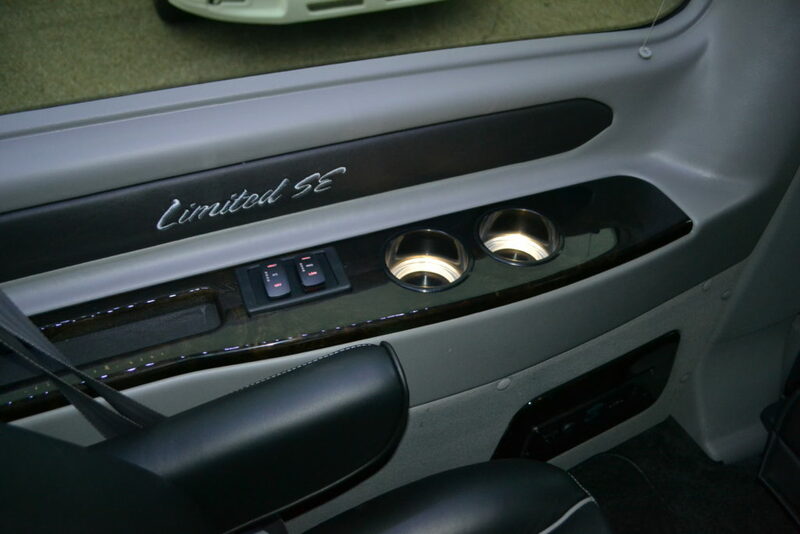 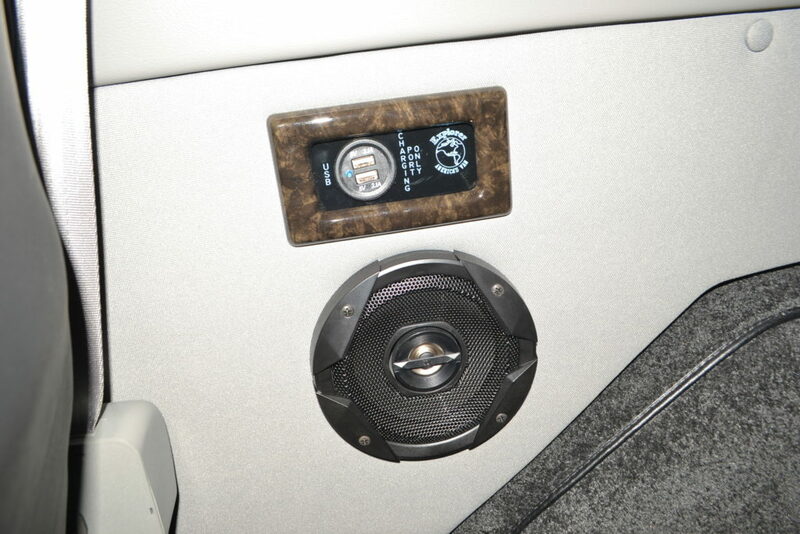 Teardrop Infinity Indirect Accent and Mood Lighting with Dimmer, Reading Lights (2) two per seat. 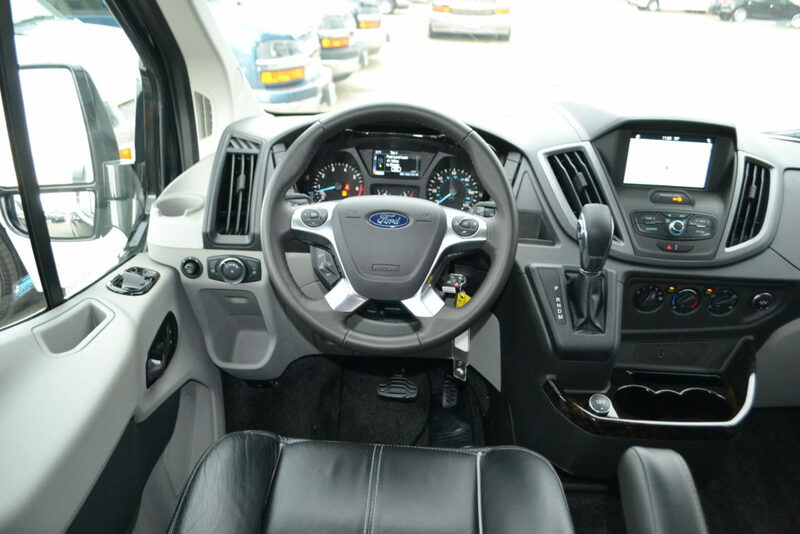 Accessories: Power Windows, Power Mirrors, Power Locks, Keyless Entry with 2 Fobs, Cruise Control, Tilt / Telescoping steering column. 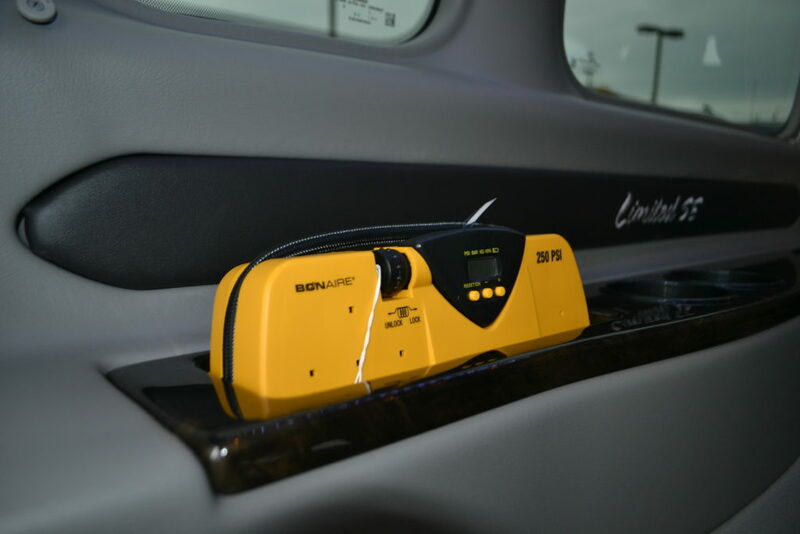 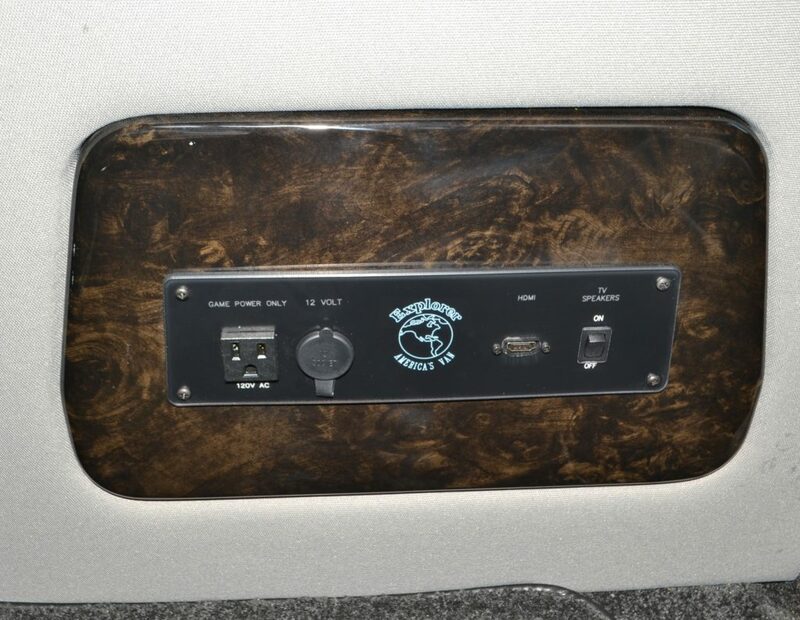 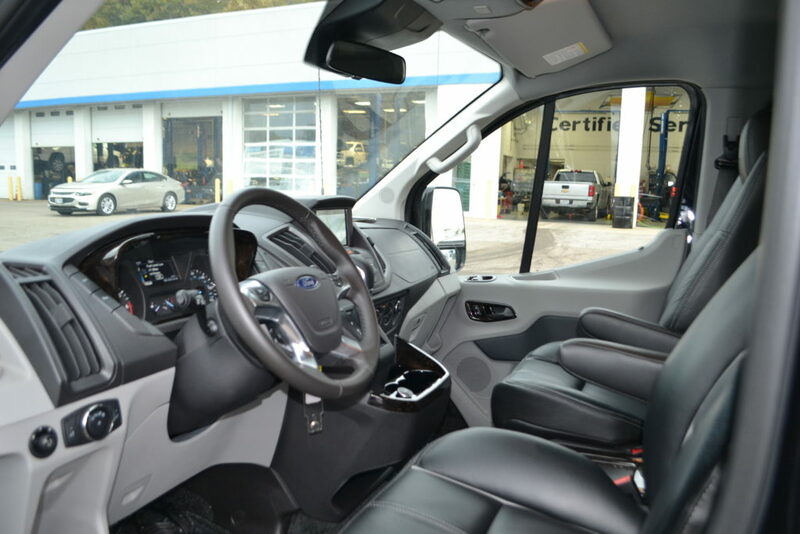 12V power points throughout, Leather wrapped steering wheel, Radio, Info, Message Center, & Cruise controls all located on steering wheel, Rear Window Defogger, Auto Lamps with Rain Sensing Wipers, 25 Gallon Fuel Tank. 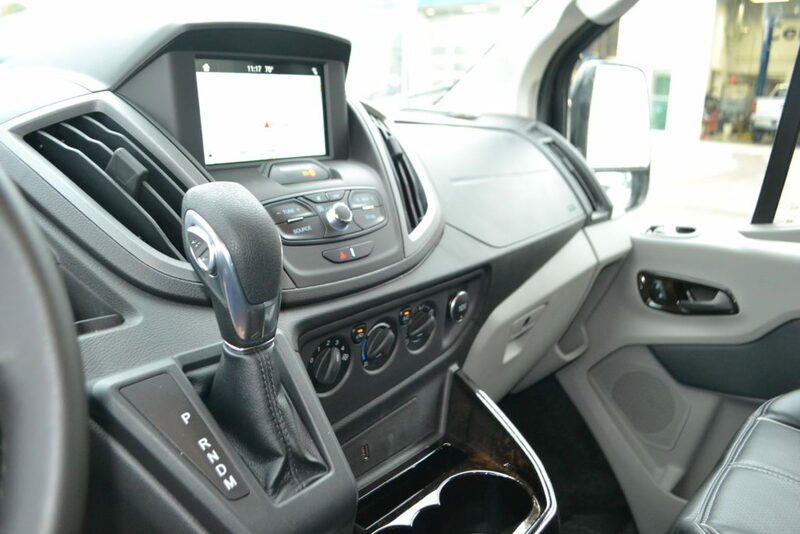 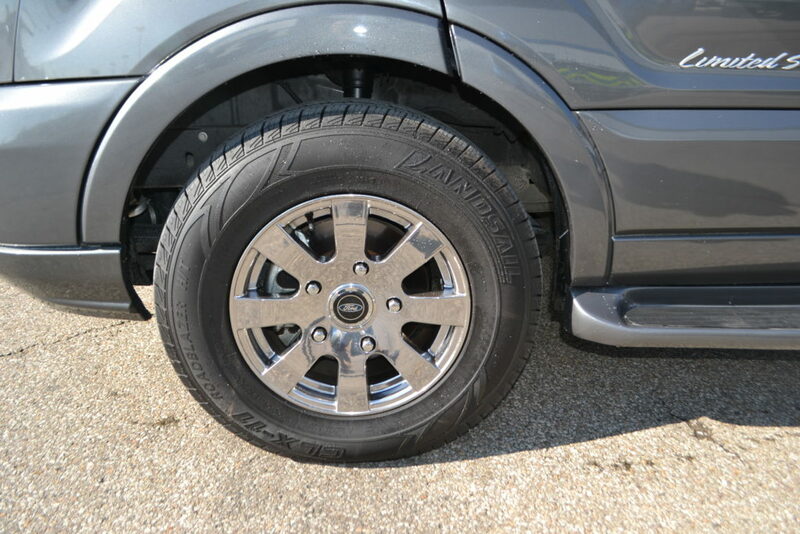 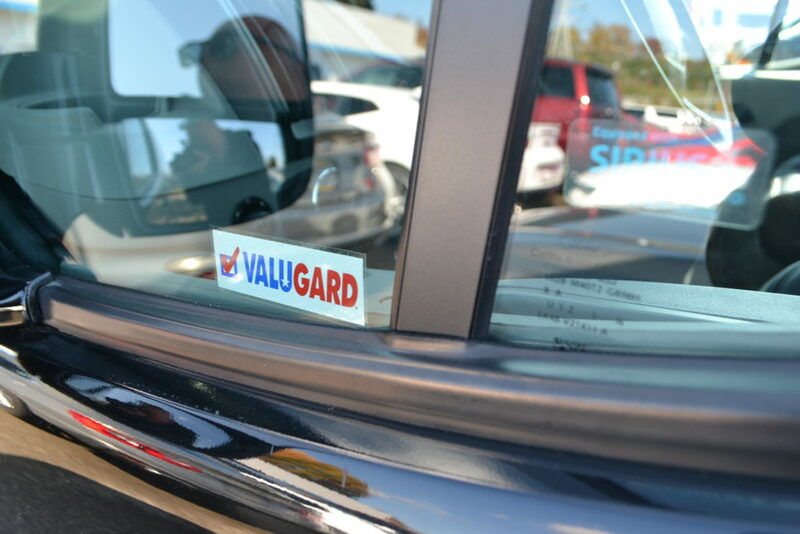 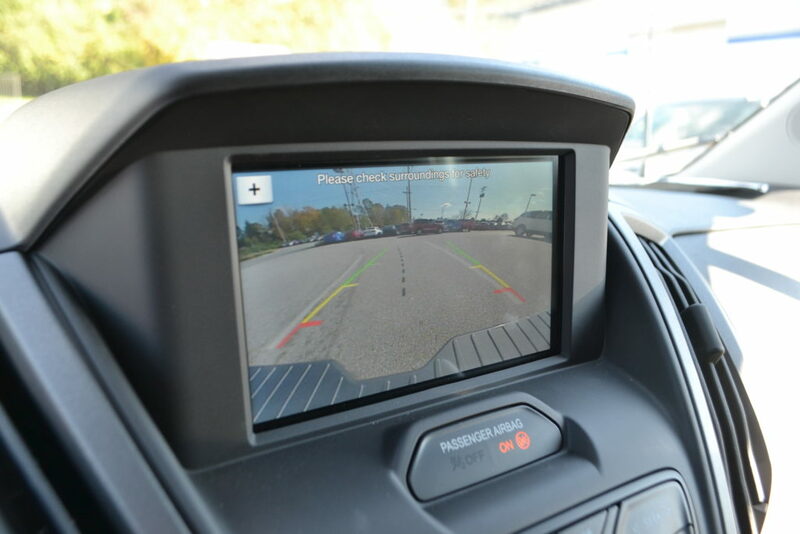 Driver Message Center includes: Compass, Outside temp, Fuel range, Average speed, Oil life, Tire pressure indicator, Fuel used, Engine Hours, Average Economy, Tachometer, Maintenance Reminders & more.